Trim (real name Javan St. Prix) is a grime MC from Chrisp Street, E14 (Isle of Dogs). He first began MCing with the Bomb Squad around 2002, shortly after he left jail. He soon made a name for himself as a member of Roll Deep for his unique wordplay, flow and rhyme structure. 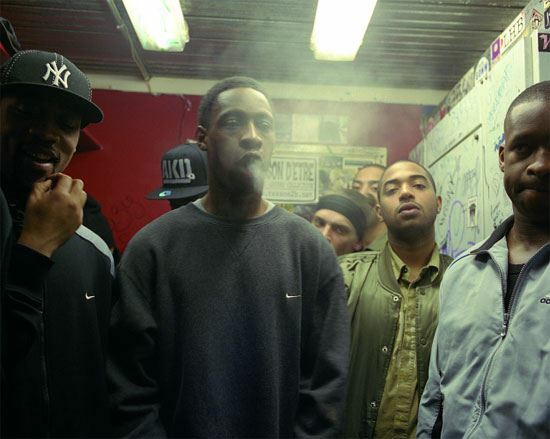 As a member of the Roll Deep, he recorded tracks and performed live with fellow East London MCs Wiley, Riko, Breeze, Roachee and Scratchy (with whom he attended school and is close friends). He was arrested for assault in Aiya Napa after an incident involving Marcus Nasty (of NASTY Crew) and his girlfriend. He eventually left Roll Deep in 2007 after numerous disagreements with Flowdan, recording multiple diss tracks taking aim at Flowdan. He is also noted for making one the most brutal disses in grime, in which he sent for Major Ace, Sniper E and Stormin. In 2009 he also exchanged diss tracks with Wiley. Trim has released four mixtapes (Soul Food Vol. 1-4) on which members of his new crew ‘The Circle’ make appearances. Trim claims to be working on an album and expects to complete recording in the near future.